It has been a long summer with little rain, but today the wet stuff was gently falling over the Salish Sea. 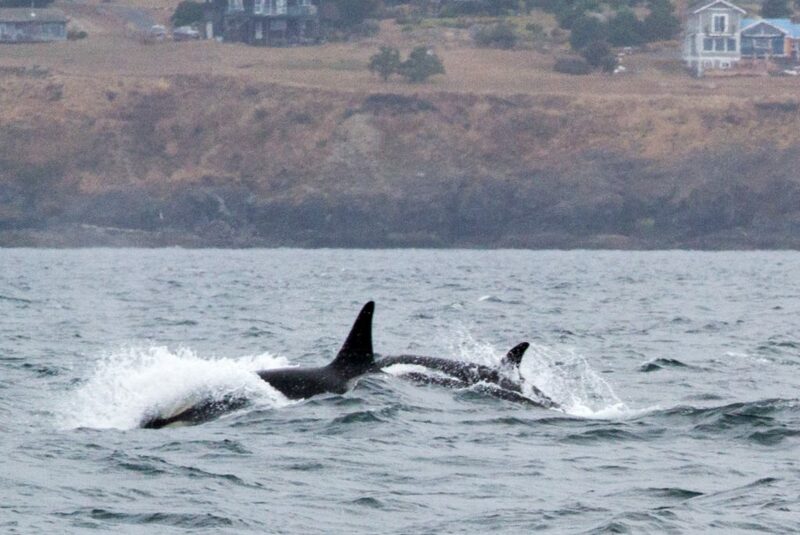 We ventured east to look for whales and found Southern Resident killer whales porpoising through choppy waters, heading north offshore of San Juan Island. Orcas are top ocean predators and can reach high speeds to chase down their prey. Even with their fast movement, we were able to pick out some of the individuals like Star (J-46) ripping through the waves! Star belongs to the J-17 matrline and travels with her grandmother- Princess Angeline, her sisters Tahlequah and Kiki, her brother Moby and her cousin Notch. Her mother and infant brother passed away in October of 2016 from starvation. Star is a natural leader as she helps take care of her little sister. After cruising alongside the amazing members of J-pod, we headed towards Chain Islands where we were able to spot dozens of harbour seals, all different in colour and having spots covering their fur. 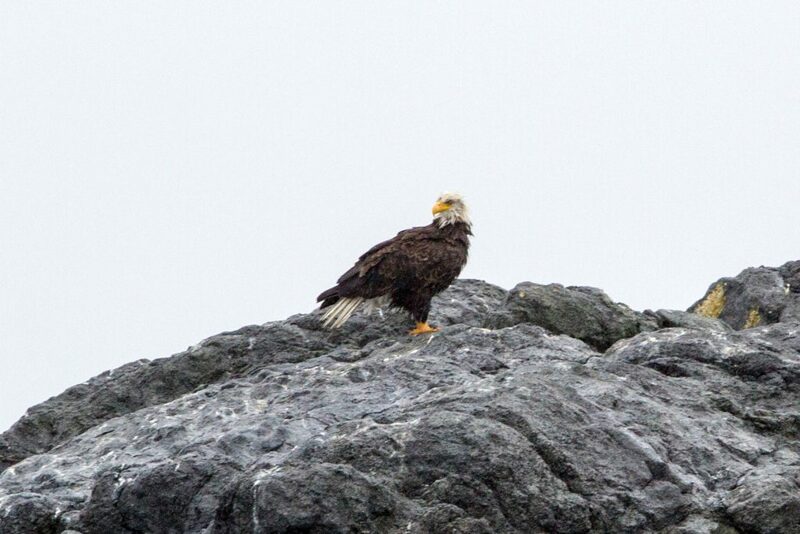 This area is also home to marine birds like cormorants, ducks and gulls. They seem to share the small islands with little conflict! Well it is not very often we get to see whales just a few minutes from the harbour, but today was one of those days! 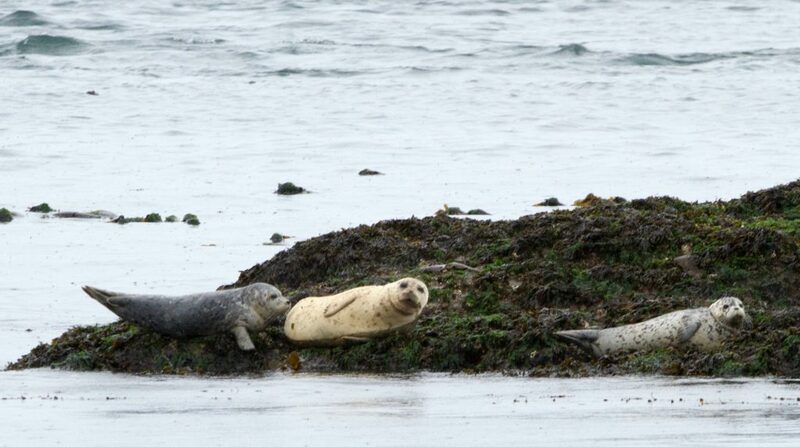 We headed just a hop, skip and a jump into Esquimalt Harbour where we found T011 and her son T011A searching the bay for their favourite food- harbour seals! 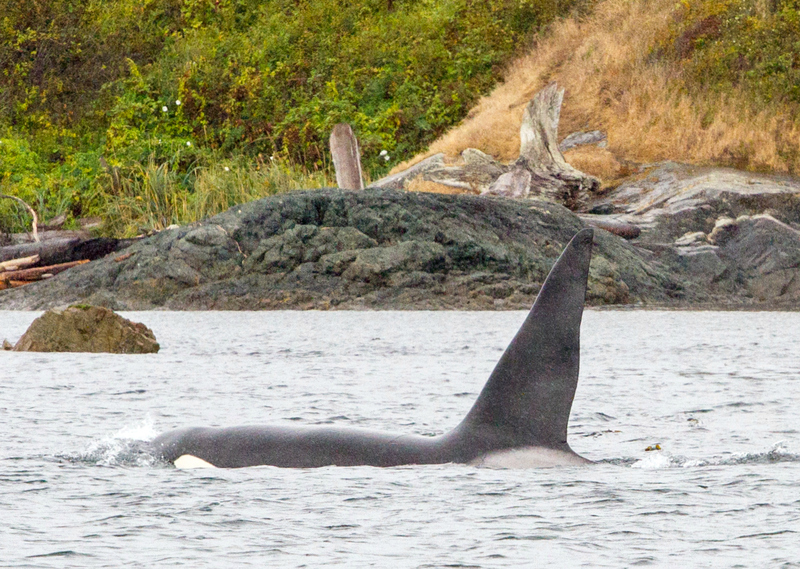 T011 has been cruising our coast since 1963 and was joined by her son who we affectionately call Rainy, in 1978. 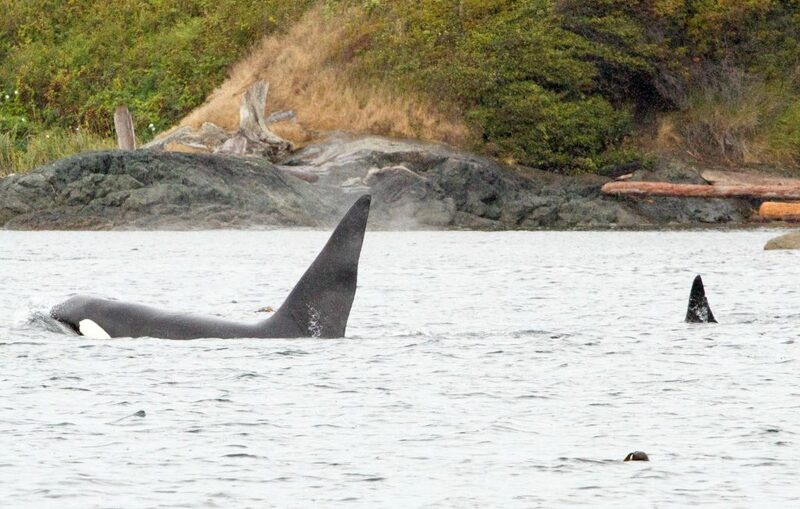 T011A is known as one of the largest male mammal-hunting killer whales on the coast! He has a massive dorsal fin and he is very long compared to other males in the population! After watching this Mother and Son duo hunt in the shallows of the harbour, we cruised out and headed to Race Rocks Lighthouse. Here we joined the sea lions in the rain as they relaxed on the islets or swam through the kelp beds and rushing currents. Steller sea lions can weigh in at 2500 pounds, outweighing their neighbours the California sea lions who reach about 800 pounds. The historic lighthouse always makes for a beautiful background with its black and white stripes painted on granite block construction. It was last painted in 2009, just in time for its 150th birthday in December of 2010. It has a long history of ship wrecks and dangerous seas, making the lighthouse an important warning of dangerous rocks and currents to vessels transiting the strait. It was another wet, wild and fun afternoon on the water! View more incredible tour photos here.